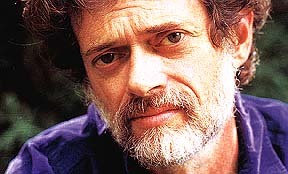 Posted in Culture, DMT, Evolution, Psilocybin, Psychedelics, Terence McKenna (mp3). Dear Lorenzo, I use the word ‘dear’, because I feel like you are dear to me. I’ve quietly listened to the Salon for almost 8 years now and it’s been, well a huge influence in my life. It really was the beginning, it lead me to my experimentation with entheogens which lead me back to a deep connect with the natural world, a rediscovery of my art, studying natural medicines, and more recently my study and practice of Shamanism. I’m grateful for the doorway that the Salon and the Mushrooms opened in myself to explore all these areas and create meaning in my life. I say all this because coming to these most recent talks and hearing your thoughts about the election (I’m located in the Pacific Northwest of the USA) have kind of upset me. I do come here to escape politics, but it’s more than that. I was pretty shocked at what happened during this election, I honestly did not think that Trump could ever win. I’m not a Hillary supporter by any means and boy would I loove to destroy the political system we have but I did vote for Hillary because I find that man so odious. I guess finding out that so many people did choose to abstain from voting for President upsets me when I think about the crazy plans he has in store. I think of my best friend, who called me the day after the election in a panic that she will lose her marriage license to her partner, and maybe her rights as a gay citizen. I think of my sister who was assaulted and raped years ago and what the implications would be now if such a thing happened again to her again. Would she be able to have an abortion? I think of my friends who live near the poverty line and are afraid of losing what little health insurance they have. I think of my friends of color who are afraid to go outside of our progressive city, for fear of what kind of bigotry they will encounter. I think of my beloved forests and fields, and the great waters that surround us here and what the implications will be for them. What marring of our beautiful planet lies in store? I feel hurt that this man happened to us. Perhaps you are right and this is a hopeful thing. I have thought that this may now bring to the forefront things that we as a country need to deal with, specifically the Slavery, Genocide of an Indigenous people, and lies that this country was truly built on. At the same time, it’s frightening to me that someone who has admitted to sexually assaulting women is now ‘running’ our country. I guess I’m just expressing my surprise and sadness that so many people chose to abstain from voting. I respect it as a choice but I’m not convinced yet it was the best choice when I see so much hurt around me. I won’t even pretend to know what the answer is to all this, I’m an artist and I’ve chosen to focus on that and my Shamanic practice as much as possible now, and offer those as a way to help others. No need for you to post this, I just wanted to express my gratitude to you for what you’ve created here and a little bit of my bewilderment of where we find ourselves now. Thank you for everything you do and thanks for listening. I am looking forward to you reading your essay on the next podcast lorenzo. I like to listen to the podcast and hear some of your thoughts at the beginning and end of the program. Hey Lorenzo, hope you are well, as always. I’d be happy to supply some listening listening material (stuff from my Encyclopedia Hermetica series) if any of it was pleasing to the Psychedelic Salon 2.0 folks and they were strapped for listening materials… I’m not sure if you have some massive archive of stuff waiting to go or not, but I’m happy to contribute if you don’t (it’s a history podcast, and I digress into all manner of stuff about psychedelics, magic, hermeticism and so forth). Been here for years now – won’t be forgetting the Salon anytime soon! I’ll stay in touch. I still think people don’t understand what bottom-linism is. Take this.. You can’t think, bc thinking is the bottom-line. Another thing is when thinking about something is the obstacle. Last; And this one’s really cool. Human life-time getting shorter and this is just speculation, but we can’t face the moment. There’s no über mega-realization that we will all get at the same time. Dear Lorenzo and listeners. Could someone tell me what Terence means when he mentions “The appalling implications of the psychedelic experience”? What is it about the experience exactly that is seen as appalling and devastating? I assume he means the fact that nothing lasts but I could be wrong in that assumption. I would love some feedback on this issue. Loving every bit of new McKenna. Thankful for all your work. I tried to join the psychedelic salon 2.0 but site didn’t work. Do let me know how to be part of the magic.